Patshyn Catrin: A hopeful Q2? mmmmmm.....left it to the last minute again! Luckily(?) all but one are rollovers from last quarter so there's a little cutting and pasting been going on here! 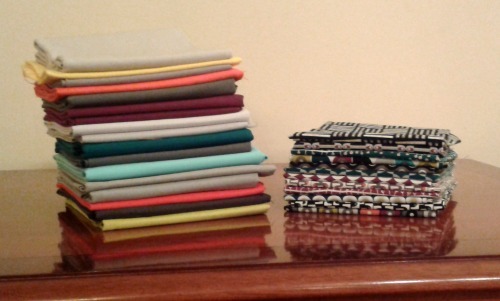 Anwen has fallen for Aneela Hooey fabrics almost as hard as I have. Whilst making a pillow for her friend's birthday I sewed up these panels for a small pouch for Anwen but didn't get as far as putting it all together - hopefully this will be my first (and not last) finish of quarter 2! The baby who's supposed to be receiving this quilt will be one on the twentieth - My husband has promised me a sewing day over the long weekend - a birthday pressie maybe? I will kick myself if I don't get this done by the end of the quarter! 4. Caravan curtain bag. I may not be feeling the love for the Liberty bag any more but I really feel the need to make a new bag. Ceri was having a clear out the other day and found a pair of vintage curtains and offered one of them up for free on instagram. 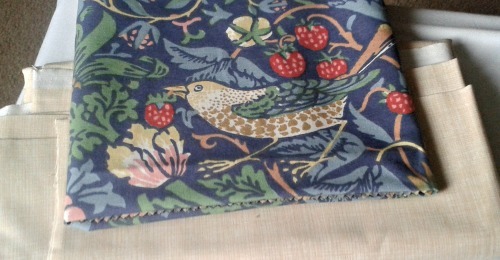 When it arrived I fell hard for the print and colours. A bag would be a good way of having this in my life everyday, I've paired it with some yarn dyed Essex in Denim and found the perfect zip in my stash. 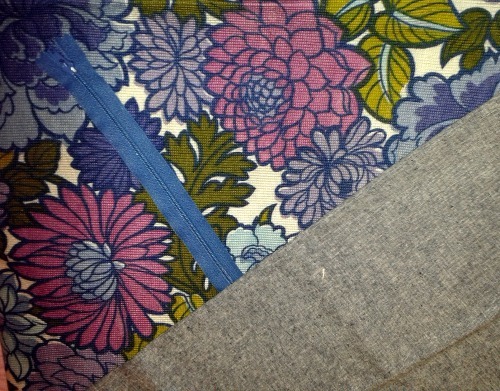 Have I mentioned that I love Vintage fabrics? 5. A quilt for Mexico. 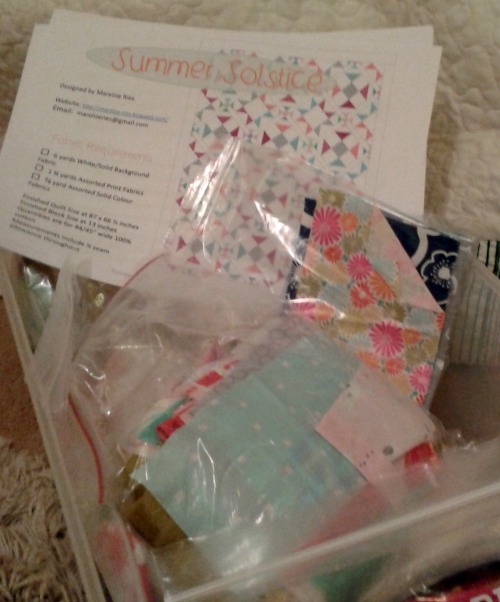 Alison put the call out for quilts for street children in Mexico. These charms have been languishing in my stash for far too long so I'm just going to sew them together and quilt. Cut and ready to go! 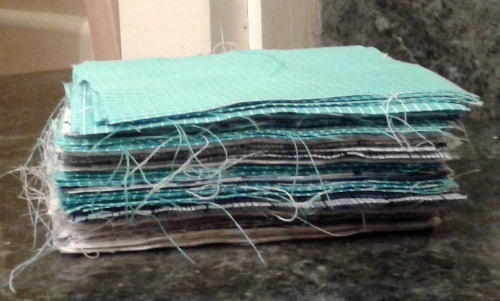 I've managed to sew all the charms into a quilt top but it's come up a little small. 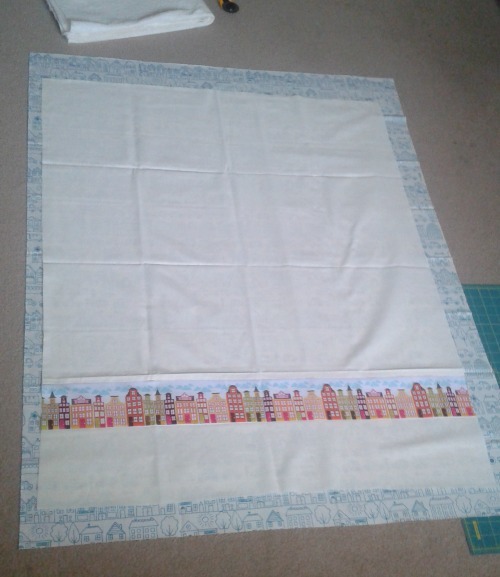 I need to find something to add as a border and then I hope to quilt it and then send it off. I understand that there are still small shipments at regular intervals - even so, this one will be the first one to see the frame when I eventually set it up. 6. Kaffe Snowball. I rolled this one up and put it in a bag at the end of the workshop and haven't touched it since - first job - Press all those squares! 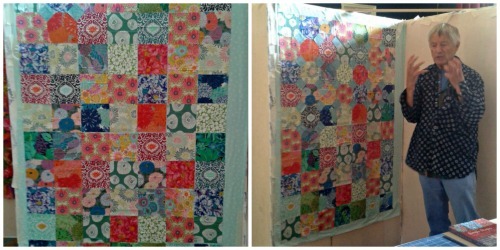 I have made some progress on this quilt during the last three months! I've pressed all the squares and I've got them hanging on a temporary design wall of sorts behind the TV in the living room. I 'snowballed' the top row using 2.5" squares as instructed in the workshop but it looks very wrong to me so I'm going to try with 2" squares and cross my fingers! 7. 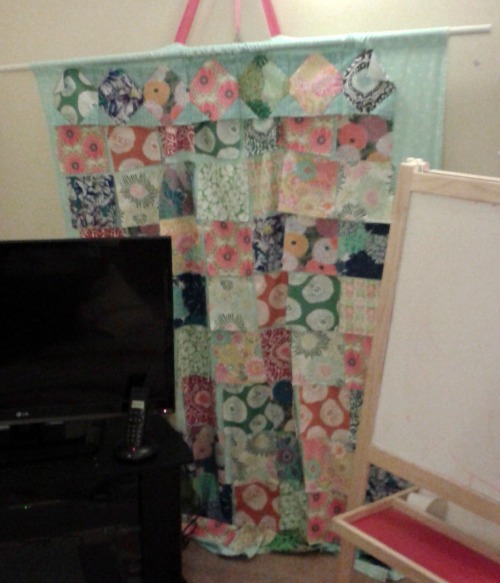 Anwen's quilt side 1. I got some extra butterfly print from a discount LQS so I just need to add some extra wide borders, quilt and bind! My frame is set up in the attic and it has really been too cold to spend anything more than five minutes up there. 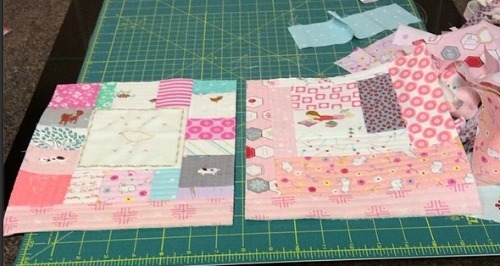 Now that the weather's taken a turn for the better I'm hoping that I'll manage to get some quilting done this quarter. It's been three SIX months and they look no different to this! 10. Plus Quilt. My Dad's still waiting for his Christmas present :-0 I've decided on a giant plus. The fabric's all been delivered. Need to get going. I'm really hoping that quarter two is going to be a little bit more productive than quarter one but I'm still not feeling much better so I wouldn't hold my breath if I were you. quite a list :-) Sorry to hear you have been sick - hope you are feeling better now. Hope the idea of so many lovely projects will make you feel a bit better. The list is full of gems! 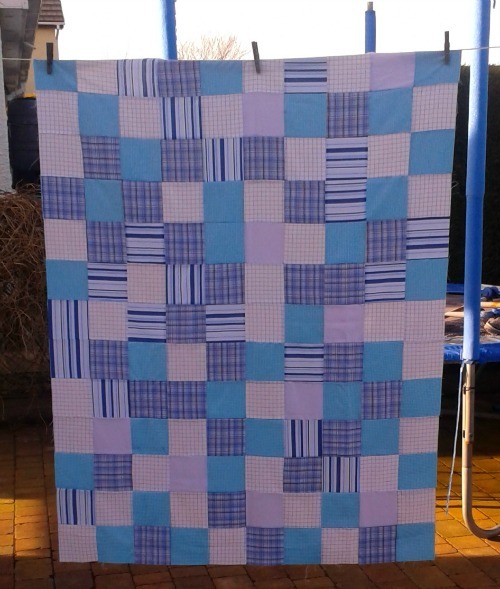 I did a plus quilt and quilted the top in 1 day, it was so awesome, good luck with your goals, I hope you are having warmer weather!